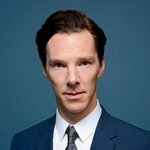 Film director Danny Boyle and Sherlock star Benedict Cumberbatch will take part in a special late night Q&A about their new stage production in aid of creative arts charity Dramatic Need on April 20. For just £10, you can join the Oscar-winning director Danny Boyle and the play’s stars, Benedict Cumberbatch and Jonny Lee Miller, for a spine-chilling late night Q&A as they lift the curtain on their radical, role-swapping reinterpretation of Mary Shelley’s classic novel. This is the only time all three will be discussing the project together. Dramatic Need is a UK-registered charity that hosts creative arts workshops in underprivileged and rural communities in South Africa and Rwanda. The charity promotes creative expression as a tool for conflict resolution, social development, gender empowerment and the assimilation of health messages in underprivileged communities. Dramatic Need also provides art, music and film-making equipment to African schools. The charity has been particularly effective in encouraging young people to discuss and challenge the stigma surrounding HIV/AIDS. 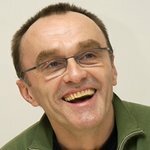 Danny Boyle is a Trustee of Dramatic Need. Tickets to the Q&A cost just £10 and include a handcrafted Frankenstein mask made by Dramatic Need women’s sewing collective at the Dramatic Need arts centre in Viljoenskroon, South Africa. All proceeds go to the charity.